You know the saying, “If you love what you do you’ll never work a day in your life”? If you adore diving, going pro might seem like a farfetched dream, but it may be more attainable than you think. 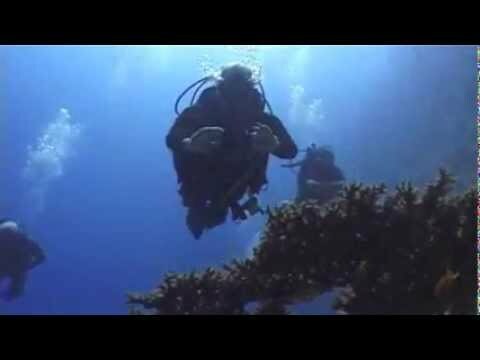 Now we are featuring PADI Professional GO PRO courses. To kick this off, below is an overview of what it takes to Go Pro. If you’re new to the sport, you might wonder how someone turns their love of diving into a career. Getting the proper training is crucial. A recreational diver will take diver level PADI dive courses and then move on to PADI professional courses. The PADI Divemaster course is the first step in going pro and becoming a PADI Professional. The PADI Open Water Scuba Instructor course is where you learn about teaching people how to dive and start to see how you can transform people’s lives through scuba diving. As part of your PADI Instructor training you will also become an Emergency First Response Instructor. Once you become a PADI Specialty Instructor you will be able to provide your students with in-depth information about certain dive disciplines like wreck diving or coral preservation. The PADI Master Scuba Diver Trainer rating denotes a very high commitment to the PADI System of diver training. As a PADI IDC Staff Instructor you can independently teach and certify PADI Assistant Instructors at PADI Five Star Dive Centers or PADI Five Star Dive Resorts and assist PADI Course Directors with the PADI Instructor Development Course (IDC). Going pro takes dedication, but there are many options to fit your schedule. Some knowledge development sections are available online through PADI eLearning®, before you complete the remainder of your course with your PADI Professional. You can also choose to train full-time or part-time to fit in with your schedule. Once you go pro, you’ll enjoy many career opportunities. Would you prefer working at a resort in a tropical location? Work locally in your own city or town? Do you want to help people in water emergencies? How about working in the entertainment industry? Do you want to dedicate your time to saving our precious underwater environments? No matter what your interest, there are numerous jobs around the world that need well-trained PADI Professionals. Imagine waking up excited to go to work each day. More divers seek PADI Professional credentials than any other professional scuba training organization. If you’re thinking about going pro, simply contact us and we will provide you with all the information you need or just simply answer any questions you may have.